Our physicians look forward to servicing your medical needs and providing you with a comfortable, friendly and rewarding experience. 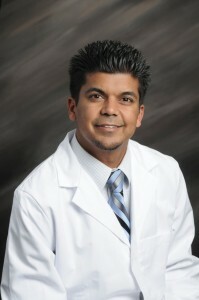 Dr. Pravin Shaw grew up in San Diego and completed his undergraduate studies at the University of California at Irvine. His medical school training was completed at Touro University in Henderson, NV. After medical school, he finished his Family Medicine residency at Chino Valley Medical Center. Dr. Shaw is board certified in both Family Medicine and also Osteopathic Manipulative Treatment. In the past, he has served as a Medical Director for US Healthworks Medical Group and also has additional Urgent Care experience working at Hoag in Orange County. Dr. Shaw also serves as an adjunct faculty professor for The Western University of Health Sciences in Pamona. In his free time, he enjoys playing tennis, yoga, hiking, and plays various musical instruments. Dr. Miremadi attended St. George’s University School of Medicine after receiving a Bachelor’s Degree in Biology from UCSF. He completed his residency in Family Medicine at UC San Francisco/Fresno in 2003. He has worked as a physician at Brea Urgent Care since it opened in July 2013.